With UNIT neutralised, only the Doctor stands in their way. But how do you stop a war? And what can the Doctor do to save his friends? "Humans cannot accept us the way we really are. If we cannot hide, we must fight. You’re going to be the first. You’re going to be the first to make the humans see." The future of planet Earth is sealed in a box in Unit's back archive, and only the Doctor knows what’s inside. 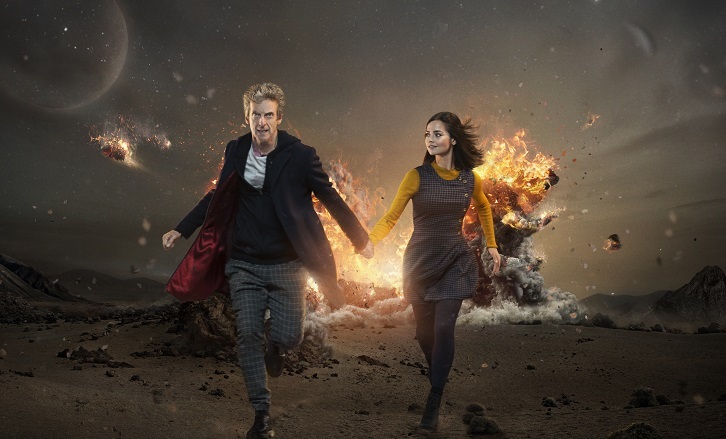 With Unit under Zygon control, and Clara lost, the Doctor and Osgood find themselves fugitives in a London where no one can be trusted - but the wily old Time Lord knows there is one last hope for peace. Because that box in the black archive isn’t any old box. It’s an Osgood Box!